The new magnetic head MH 6-26 is designed to inspect ropes in the extended range from 6 to 26 mm in diameter. The magnetic head is equipped with only one pair of sensors, which serves the whole range of rope diameters. Sensors and boards are properly sealed inside the head to make it suitable to operate in a humid environment, e.g. offshore. 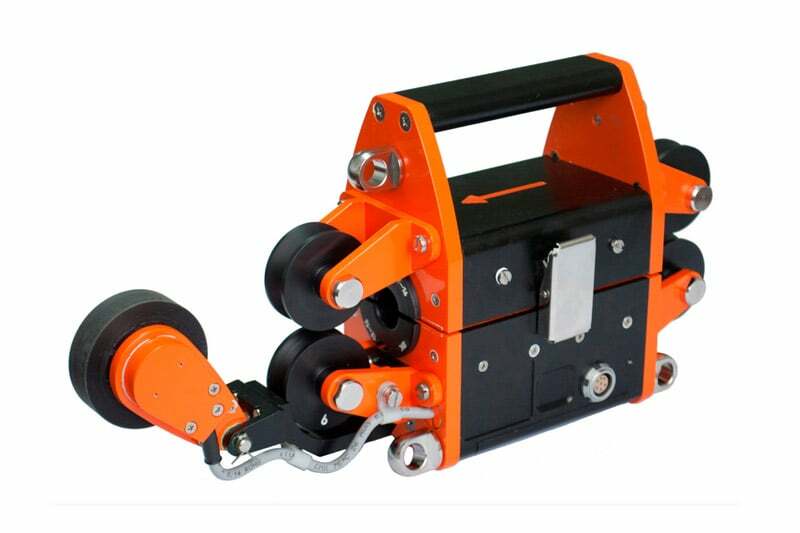 Detachable external rollers enable alignment of the rope during inspection. 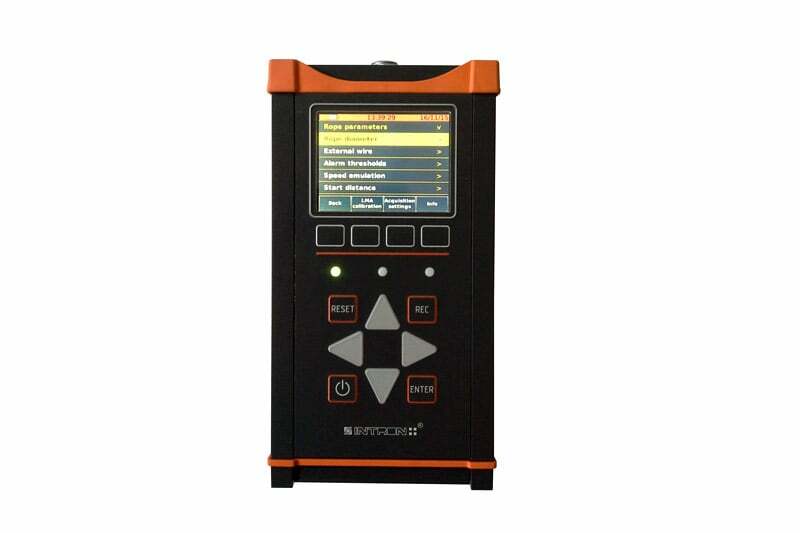 Rope inspection speed is from 0 to 4 m/s, and deviation of the speed does not affect the performance of the instrument. INTROS® is suitable to inspect stranded, spiral, half-locked, full-locked ropes made from bright and galvanized wire, with fiber or steel core. It meets requirements of ASTM E1571, EN 12927-8, IMCA SEL 022, M 194; SEL 023, M 197. INTROS® consists of a basic unit and magnetic head connected with a special cable 5 or 8 m in length. Magnetic heads designed to inspect ropes with diameter from 6 to 150 mm. Monoblock MB 8-24 is designed to accommodate magnetic head and basic unit in the same body. During inspection the rope moves through the magnetic head or the magnetic head moves along the rope. 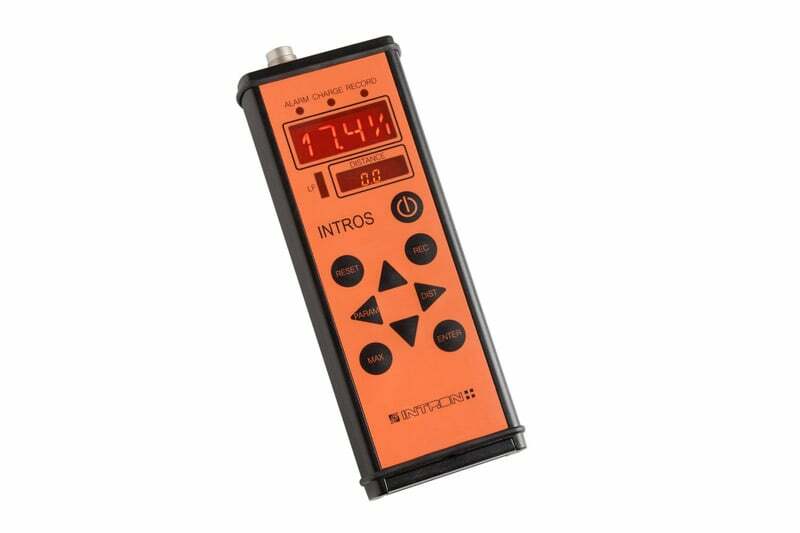 INTROS® simultaneously measures LMA and reveals LF in form of inner and outer broken wires, pitting corrosion, welding spots, etc. It also displays the speed of the rope and the current instrument position along the rope. The basic unit is compatible with all magnetic heads and has down- loading capability. After inspection data are downloaded from basic unit to computer with software Wintros© as LMA, LF, inspection speed traces. Data also can be registered on-line on a screen with software Wintros RTV©. Contact us to find out more about the INTROS MH6-26 or any of our other Wire Rope Inspection equipment, or request a quote online.